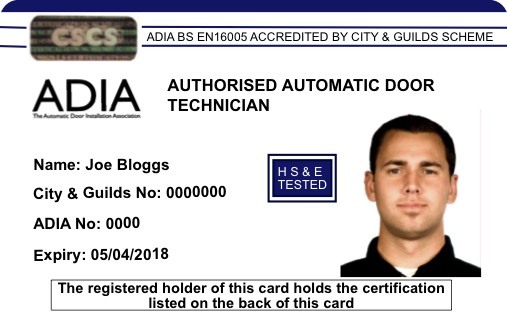 The ADIA have now partnered with CSCS to give members who have sat the BS EN16005, accredited by City & Guilds access to go on site. This means members who sit the BS EN16005 AND Health and Safety test, will not have to complete other courses to go on site to work on automatic pedestrian doors. The ADIA has created an online ADIA Health and Safety course that ALL engineers will need to complete before sitting the BS EN16005 course. This certificate lasts four years. 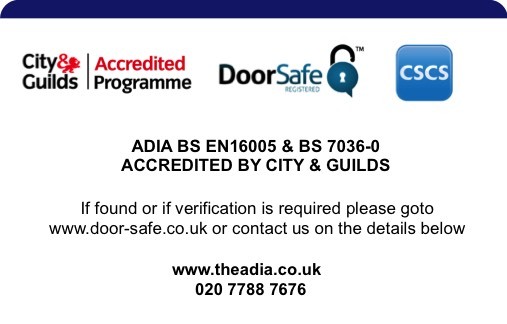 Once the ADIA Health and Safety test is completed, the engineer is then able to sit the BS EN16005 course and exam. When they pass they will receive a card with the CSCS hologram as well as City & Guilds logo. The accreditation lasts four years. After this, engineers will have sit the refresher course and Health and Safety test. For those who have sat the BS EN16005 four years ago. Health & Safety test will need to be completed seperately, if not already completed. Includes BS EN16005 online training, assessment and training day plus exam. 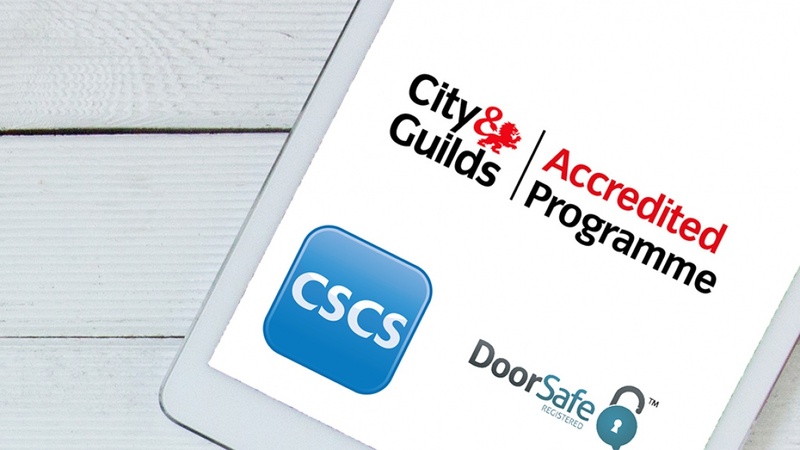 CSCS card given and City & Guilds accreditation updated. This card will allow learners to go on-site supervised by a qualified technician. This card will be valid for 1 year and is not renewable. Trainees will need to do the health and safety test before the card is issued and complete the BS EN16005 within the 12 months’ period. All BS EN16005 courses will include the health and safety test and MUST be completed. We hope you will welcome this development of the BS EN16005 and the opportunities it offers members. CSCS will be contacting thousands of businesses across the UK to let them know that BS EN16005 is now recognised.